Comments: This is a trade paperback. !! !Cover/Dj has minor wear!!! Professor Skinner presents a lucid analysis of Machiavelli’s text as a response both to the world of Florentine politics, and as an attack on the advice-books for princes published by a number of his contemporaries. 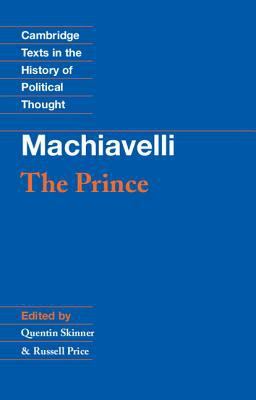 This new edition includes notes on the principal events in Machiavelli’s life, and on the vocabulary of The Prince, as well as biographical notes on characters in the text.Machiavelli, Niccolo is the author of 'Machiavelli The Prince', published 1988 under ISBN 9780521349932 and ISBN 0521349931.